Posted 11-29-2018 by Miranda Fulmore. Erron Martez Dequan Brown, 20, was arrested Thursday in connection with the attempted murder of 18-year-old Brian Wilson in the shooting at the Riverchase Galleria Thanksgiving night. The Alabama Law Enforcement Agency says Brown was arrested in Fairburn, GA Thursday morning by the State Bureau of Investigation, with help from the U.S. Marshals Service and Georgia Bureau of Investigation, according to a statement. Officials believe Brown shot Wilson Thanksgiving night, wounding Wilson and a 12-year-old bystander. Also involved in the shooting was Emantic Bradford Jr. Bradford died Thanksgiving night after he was shot by a police officer working security at the Riverchase Galleria Mall in Hoover. Initially, officials said Bradford was engaged in a fight with an 18-year-old when he pulled out a gun and shot the teen. But officials later retracted the statement saying it was “highly unlikely” that Bradford fired the shots that injured two people. 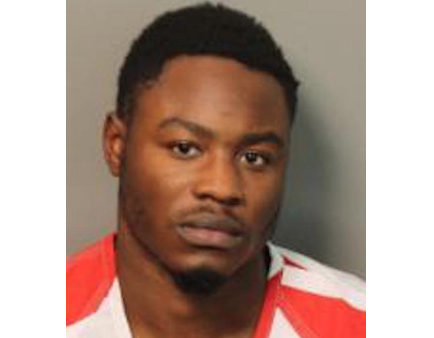 ALEA says Brown will be booked into the Jefferson County Jail in Birmingham under a $150,000 bond after his extradition from Georgia has been affirmed. Carr says the Alabama Law Enforcement Agency’s investigation is not complete and remains ongoing with additional witnesses coming forward. The agency says additional charges are expected. The agency says once the investigation is completed the entire file will be turned over to the Tenth Judicial Circuit District Attorney’s Office. The family of Bradford has asked that video of the night be released. But officials says that is not a possibility at this time. “It is highly likely that prematurely releasing information, including video evidence, would have hampered the investigation’s progress thus far, even to the point of deterring key witnesses,” says ALEA in a press release. Read the full press release by the Office of the District Attorney here. Hoover Mayor Frank Brocato says the city plans to defend the unidentified officer who shot and killed Emantic Bradford Jr. in any future civil litigation. Meanwhile, outraged protesters demonstrate outside of the state attorney general’s office in Montgomery.